Former WON Bass U.S. Open champion Roy Hawk is looking forward to fishing for money that doesn't come from his own bank account or that of his fellow competitors. Roy Hawk has fished only three seasons at the tour level – two with FLW and one on the Elite Series – but the longtime Western ace has paid his bills with other anglers' entry-fee money for many years. Fishing on the Bass Pro Tour in 2019 without paying for the privilege will be an entirely new concept for him, but he's all in favor of it. "The reason I voted (to forego entry fees) is because it's better for the group as a whole," he said. "When you consider all 80 guys, it's a more survivable platform to last for three years (the length of the BPT guarantee for the charter members) and beyond. 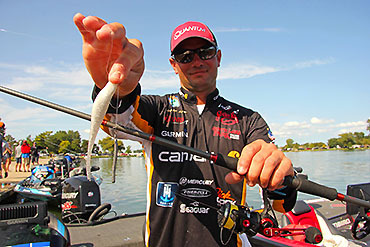 What's best for pro fishing in general is to eliminate them across the board. "For some of the guys at the top, it really doesn't matter whether they pay entry fees or not, but there are still some younger guys living check to check and this will help sustain them. It sets the standard, for sure." The BPT announced this week that its anglers had voted to invoke the no-entry-fee option for the circuit's inaugural season and accept the corresponding reduction in payouts. Vote totals weren't announced, but several anglers reported that the margin was a landslide, with only a handful preferring the pay-for-play format that pro fishing has traditionally utilized. 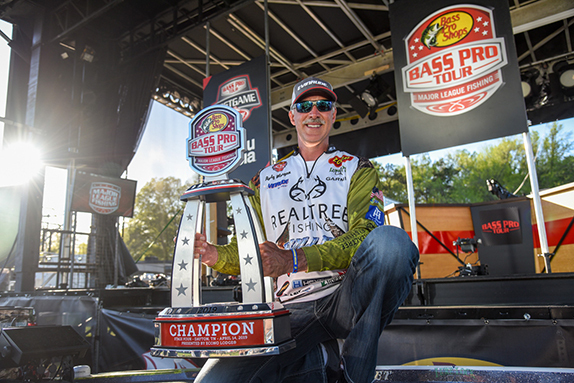 The initial plan was for anglers to pony up $48,375 apiece for 14 events (eight BPT regular-season tournaments and a championship derby, four Major League Fishing Cup events and the MLF World Championship). Under that plan, the total payout would've been nearly $10 million. With no entry fees, it could be closer to $6 million, but no official figures have been released. 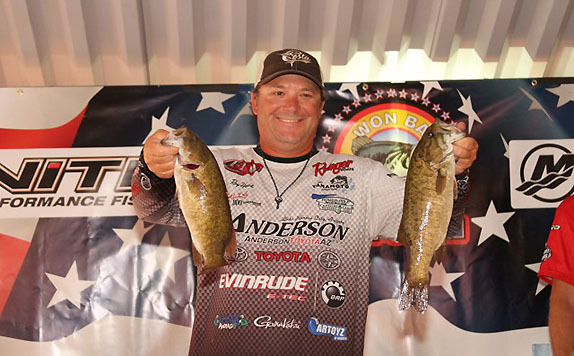 "It's ridiculous how much it costs to fish and it's been that way for a long time," said Matt Lee, who competed on the Elite Series for four seasons before opting for the BPT. "People go broke. They say golf is a rich man's sport and it might be expensive to play, but at the highest level it's not expensive and the payouts are really good. "This is a change for the better – you get your tour card and you have a platform to compete and you don't have to come up with 50 grand to do it. That was all just money that you were gambling against everybody else – you put it up and try to win it back. If we can fish for a good check with no fees, that's awesome. That's where the sport needs to go." Alton Jones earned more than $2.7 million with B.A.S.S. in a tenure that spanned nearly three decades. He qualified for 19 Bassmaster Classics and won the 2008 edition at Lake Hartwell. Matt Lee is happy that his "gambling" days are over. 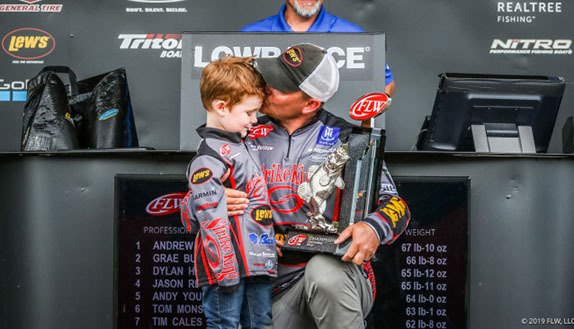 He's thrilled to not have to cut any high four-figure deposit checks to compete in 2019, but says he's happier for his son (Alton Jr., who'll also be a BPT competitor) and anglers of that generation. "This is something that everybody's wanted for a long time, and now it's here," he said. "I'm excited about what the future's going to bring. This will really set MLF apart as the organization that high school and college anglers want to fish. "You look at the people on the pro tour levels and it's not easy to be out here. This really lifts the burden, especially for the young guys. The real beneficiaries are the guys who've just arrived in the last five years and the guys who'll arrive hereafter. It's a big building block for the future of the sport." Brent Chapman said the no-entry-fee plan provides a great sense of security for BPT competitors of all experience levels. "The biggest misconception out there is a lot of people think we're making millions of dollars," he said. "I've made 14 Classics and I've won an (Angler of the Year), but I could have one bad year and be broke. Sure, there's a handful of guys who are doing very well (financially), but in the grand scheme of things it's not that way for everybody. "Going into 2019, I feel like I've already won. This is a big leap that puts us into a whole new category." 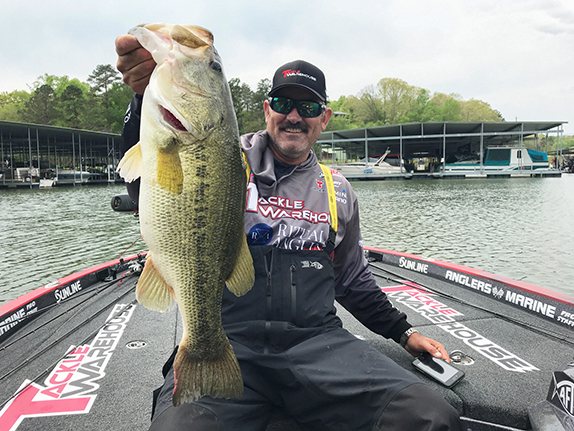 Former FLW Tour pro Jeff Sprague said entry fees were never a huge sticking point for him because they were simply a fact of life in the pro game. He made his primary living as a First Responder (he's served as both a firefighter and a police officer in his native Texas) and used his lower-level tournament winnings to advance through the sport's ranks. He said the no-entry-fee format will remove a perceived barrier for at least some young anglers who aspire to compete at the top echelon. "It's a true pro outlook on fishing," he said. "You go through the feeder system, once that's developed, and when you get there, it's free. It's a direction the sport has needed to go for a long time." Fletcher Shryock said he initially voted to pay entry fees, but called MLF officials and had his ballot changed to the no-fee side when he found out he was in a tiny minority. He was previously swayed primarily by the bigger purses, thinking they'd attract the attention of people and companies not currently involved with the sport. "I'm basically a guy who just makes his entry fees back (in an average season) and it was a case of me trying not to be too selfish," he said. "With how much money MLF put into the pot, there was going to be very few guys who didn't make their entry fees back and the guys who did well would be heavily rewarded. Those guys will still be rewarded, but just not quite as heavily. "I'd talked to a few people and it just so happened that they were about the only guys who were in favor of the entry fees. It just seemed like we'd be appealing to a broader audience if we were fishing for more money. It's positive either way, though, and it worked out fine. "I just want to get back to having fun," he concluded. "It's no secret that the morale hasn't been real high amongst everyone for the last couple of years and I'd like to see that come back. If no entry fees is what it takes, then let's go for it."